Center of Excellence for Chagas Disease | Slymar, CA | How is Chagas Disease Spread? Kissing bugs are nocturnal insects that feed on the blood of humans and other animals. Yes, Chagas disease can also be found in animals – even cats and dogs! Most species of kissing bugs live outside, and prefer cracks, crevices, woodpiles, and other areas where little light enters. A few species in Latin America are completely adapted to living in human homes, but other species, even in the United States, are opportunists who will enter houses, barns, tents, and the like in order to feed. Capable of flight, they are attracted to light and to homes with domestic livestock. When the blood of an infected person is used in a transfusion, the parasites are sometimes transmitted. Most countries in Latin America, and since 2007, the United States, now monitor all blood donations for Trypanosoma cruzi. Similarly, transplant recipients who receive an organ from an infected person may acquire the infection. Transplants in the United States and Latin America are now routinely checked for Trypanosoma cruzi. 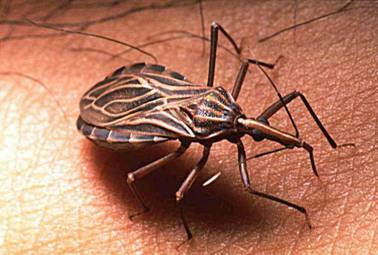 In some cases, people have gotten Chagas disease by ingesting food, especially fruit juice, that is contaminated with feces from infected kissing bugs. This has been reported in Venezuela, Colombia, and Brazil. 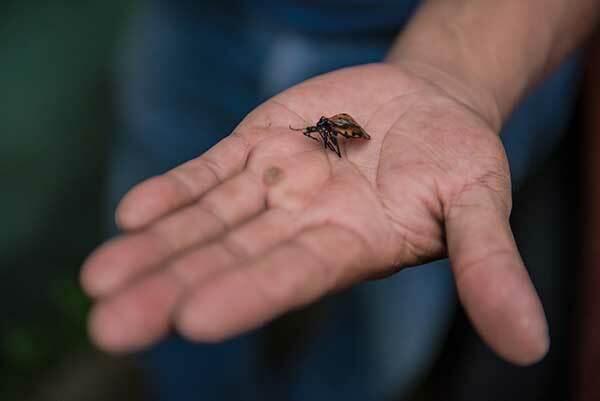 In rare cases, hunters have gotten Chagas disease from eating the meat of an infected wild animal. Health workers and scientists have occasionally become infected through accidents with laboratory samples and equipment.